Every visitor that arrives on your landing page marks a beginning. For you, it’s an opportunity to connect, start a relationship, and nudge them towards becoming a customer. For them, it’s all about who you are. How you can help them. What you’re offering right now. For you and your landing page visitor, this is one of them. When a visitor turns on your landing page, you’ve got about 5 seconds to show them why they should stick around. Whatever it is, it really comes down to just one thing. Getting your visitors to “convert”. According to Unbounce, conversion rates for lead-generation landing pages vary dramatically from industry to industry. Real estate only averages 2.9% while vocational studies more than doubles that at 6.1%. So, how do you make your landing page convert better? Sure, “eye-grabbing headlines” or “benefits, not features” are a start. But these are fundamentals any copywriter knows. If you want a landing page built for success, there are other key principles businesses and copywriters in the know pay attention to. Great copywriting is an important part of any landing page. But it’s only a single element of a larger marketing machine. And if you’re going to build a marketing machine able to turn interested visitors into warm (or even better, hot) leads, you need one thing above all. How will visitors find the page? What sort of visitors do you want to find the page? How will you help them initially (and how does that shape their relationship with you)? What happens immediately after visitors complete your page goal? How will you build a relationship with the prospects over the coming days or weeks? We are so happy to have hired Dean for this quick job. He produced some brilliant direct response copy for our landing page, within a short period of time. I appreciate his communication, and delivery approach with multiple options of headline and supporting copy. We will definitely use him again. Most landing page copywriters can write a page that reads well and converts at a reasonable rate. But that’s where they stop: with a catchy headline and solid copy. Great conversion-focused copywriters understand the funnel the landing page works in. They know the importance of what the landing page has to offer visitors. They go beyond the copy to look at the entire customer journey. Plus, they relentlessly test their copy, looking for that 0.25%, 0.5% or even 1% conversion bump. In short, they make the landing page their craft. And that’s why businesses who want a conversion-optimised landing page turn to these copywriters. If you’re one of these businesses, get in touch and let’s discuss how to make your landing page a special beginning for you and your visitors. 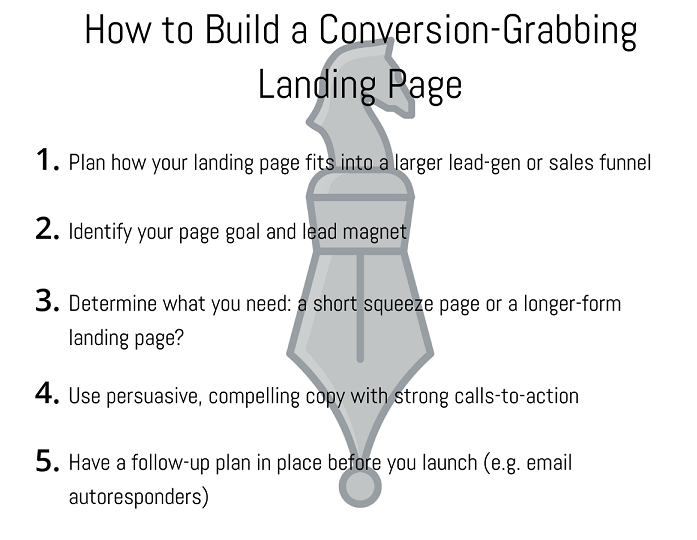 Every landing page built to convert is more than just a “bunch of words”. And it takes more than slapping a few phrases onto a page to build one. So, when we work on your landing page, here’s what you get. Consultation: over Zoom, Skype or phone, we’ll discuss your business, product or service, and objectives. Research: digging up the details on your market, trends and competitors. Copy deck: every headline, subhead & sentence for your page, all in one easy-to-read document. Wireframe: a visual mock gives you an idea of how the copy might look on a page. Two rounds of revision: to finetune your copy just how you (or more importantly, your customers) like it. Naturally, the price of a landing page can vary, depending on what you want and the size of the page itself. A short “squeeze” page is a different creature to a sprawling sales message. To get a quote and all the details around your page, hit me up here and let’s talk. Dean is a brilliant writer and I would recommend him to anyone looking for individual, engaging content. He takes the time to really understand each brief and never fails to deliver exactly what I am looking for (and more). Every piece is completely individual and specially crafted for the brief I’ve given, he has a real talent.